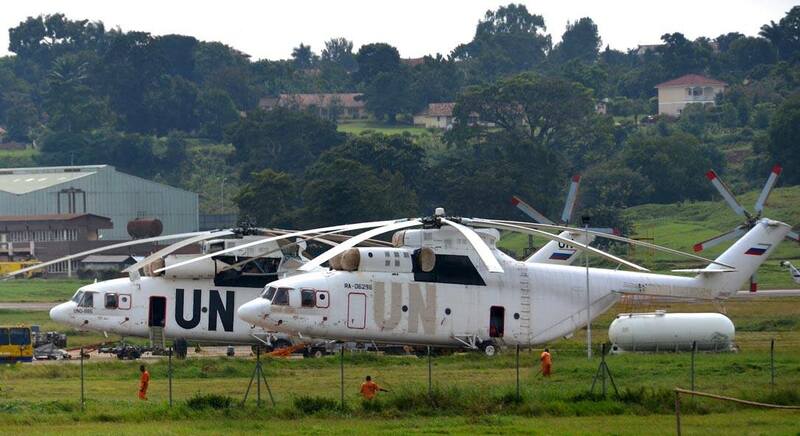 MARTHA LEAH NANGALAMA – The UN Base is not noving from Entebbe. I mean, you cannot physically lift up buildings and transpond them to another location, can you? But you can move around some functions and still leave the sign at Entebbe of the damn base, right? We have received the following letter via a friend whose name is not being disclosed for now (Thanks a lot by the way). The original is a PDF document which you can read at the link provided. The extract of the letter’s contents are below. Never mind the formatting (minor details). Never shoot the messenger. Okay! The Secretary-General would be grateflil if you could kindly forward the enclosed letter to His Excellency Mr. Yoweri I€aguta Museveni, President of the Republic of Uganda. A copy of the letter is attached for your information. I have received your letter of 28 April 2018 and before addressing the concerns expressed therein, wish to underline my sincere gratitude for all that you do in support of the United Nations, at the international, regional and national levels. and Somalia — as well as your significant contribution to the African Union Mission in Somalia is widely recognized and applauded. I appreciate your concerns regarding the potential impact that the Global Service Delivery Model (GSDM) may have on the United Nations presence in Entebbe. As you may be aware, the consideration by the United lNations General Assembly of the Global Service Delivery Model predates my assumption of office, and the shift to a new model for the delivery of administrative services was fHst proposed to the General Assembly nearly six years ago. A number of factors were considered in the independent external assessment to determine the locations proposed in the report, submitted pursuant to General Assembly resolution 71/272A of 23 December 2016. The location selection does not imply any adverse reflection on security and stability in Uganda nor on the benefits that we have been enjoying since the establishment of the Regional Service Centre in Entebbe (RSCE). The suggested proposals in no way reflect a lack of appreciation for the support Uganda provides to United Nations operations, including as a most generous host of the Entebbe Support Base (ESB) and the RSCE. Subject to the decisions of the General Assembly, should the proposals go forward, it is important to emphasize that the RSCE will remain in Entebbe. I wish to assure you that every effort will be made to ensure that Ugandan staff affected by this proposal will be covered by the mitigating measures under consideration, including facilitation of their continued employment in future shared services. Although some of the administrative transactional functions of the RSCE would be affected over time by the proposal, its other services — regional information and communication technology services, training and conference management and transport and movement control in the region, as well as the Regional Signals Academy, a prominent initiative of the United Nations — will carry on and could, in fact, expand. There has also been a significant Transfer to Entebbe of training from the Global Service Centre in Brindisi, Italy, as well as peacekeeping worlcshops and seminars held previously at United Nations Headquarters, which also ensures that short-term visitors (both civilian and uniformed personnel) would regularly stay there. In the coming years, I foresee that Entebbe will specialize and grow in these important areas of work for the United Nations. In addition, the ESB logistics hub for the United Nations Organization Stabilization Mission in the Democratic Republic of the Congo hosts a number of tenants beyond the RSCE, including: the Regional Procurement Office, the civilian pre-deployment training team, the Regional Ombudsman, the Office of Internal Oversight Services and the United Nations Mine Action Centre, not to mention critical liaison offices and the functions of neighbouring peacekeeping operations, including the United Nations Multidimensional Integrated Stabilization Mission in the Central African Republic, the United Nations Interim Security Force for Abyei and the United Nations Mission in South Sudan. I wish to reiterate my sincere appreciation for the contribution of the Republic of Uganda to the United Nations and assure you of our strong commitment to continuing this important relationship.